The brick and stone mill dates from 1731 and was built with materials from the former Watten Abbey, on the site of a wooden mill. 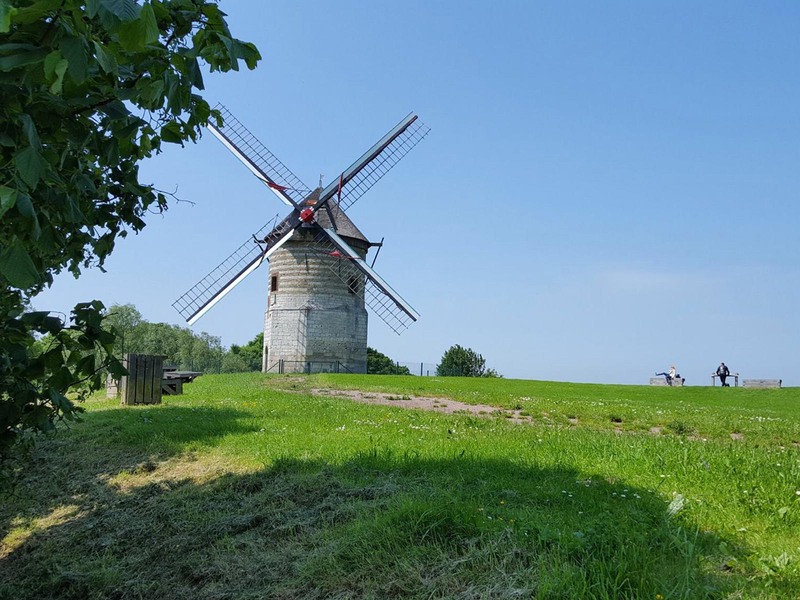 Built on the remains of the uncovered fortifications, the mill operated until 1930, lost two sails in 1937 during a storm and was reutilised, in 1940, as an observatory for the German army. Registered as Historical Monument on November 2, 1977, it was bought by the municipality in 1985 and has been completely renovated, with the collaboration of the “Association Régionale des Amis des Moulins » and the “Association des Amis du Vieux Watten et de sa Région”. A new roof was laid in 1987, and sails in 1988. A new mechanism was installed in 1994, allowing the mill to grind grain as before. Guided tours of the Watten Mill are organized every Sunday from June to September by the “Association des Amis du Vieux Watten et de sa Région”. The visit of the mill is free on the European Heritage Days in September.